2GB broadcaster, Ray Hadley has become the most celebrated radio announcer in the history of the Australian Commercial Radio Awards (ACRAs), this year winning the Best Talk Presenter, Best Sports Event Coverage, Best On-Air Team (Metro AM), as part of the Continuous Call Team and an induction into the Hall of Fame, taking his total awards to 30 throughout his 36-year radio career. For the second year running, Kate Ritchie, Tim Blackwell and Marty Sheargold, hosts of NOVA’s number one national drive show, won the Best On-Air Team (Metro FM). Kate, Tim and Marty have been on air since January 2014 and have consistently been the number one national FM drive team. One of Australia’s most respected journalists, 3AW’s Neil Mitchell won the prestigious and hard-fought Brian White Award for Radio Journalism, bringing his career ACRA total to 20. Best Current Affairs presenter was won this year by 2GB’s Ben Fordham, a three-time winner of Best Talk Presenter. Hit Network’s Hamish and Andy (Hamish Blake and Andy Lee), who have been celebrating their last year in radio throughout 2017, won the Best Station Produced Comedy Segment and Best Station Promotion taking their ACRA career total to 11. Smallzy (Kent Small) host of Smallzy’s Surgery and celebrating 10 years with Nova Entertainment, was awarded the ACRA for Best Music or Entertainment Presenter for the second year running. 2GB sports presenter, Erin Molan won the Best Newcomer On-Air award and also picked up the Best On-Air Team (AM) as part of The Continuous Call Team (Ray Hadley, Bob Fulton, Darryl Brohman, Erin Molan, David Morrow, Mark Riddell, Chris Warren & Mark Levy). Erin’s the first female to join the 2GB Continuous Call Team full time in the show’s 31-year history. 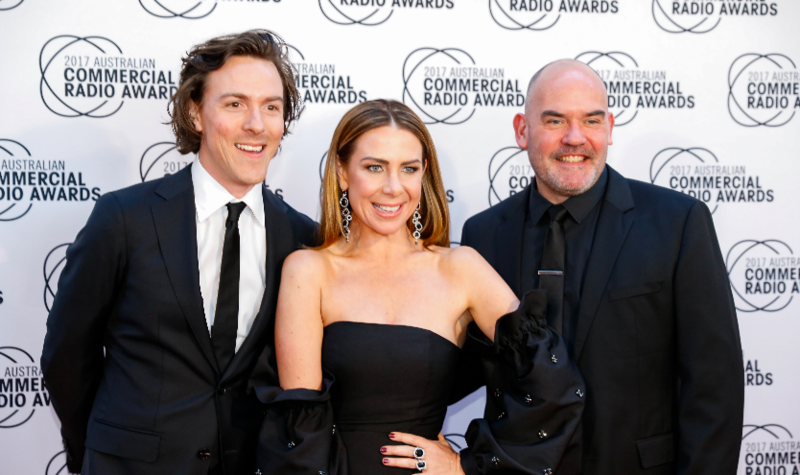 Chief executive officer of Commercial Radio Australia, Joan Warner, said this year’s winners showed the wide appeal of radio, with talk, sport, music, comedy and news well represented. “The diversity of the winners across radio highlights the depth of talent throughout Australia,” Ms Warner said. Entries were received from 260 metropolitan and regional radio stations across Australia. Stations outside the metropolitan areas are well represented at the ACRAs with more than 200 finalists from country and provincial stations. Organised by Commercial Radio Australia, the national Awards cover 33 categories. Winners are announced in each category across three areas: metropolitan, provincial and country commercial radio stations, and encompass all areas of commercial radio broadcasting including news, talk, sport, music and entertainment. The ACRAs differ from television’s Logie Awards in that they are peer judged by industry members. Who actually votes for these awards? On what basis do you judge that Kate, Tim and Marty are a better on air team than Kyle and Jackie O? I bet the decision to induct Hadley into the Hall of Fame was made well before his appalling comments about Neil Mitchell. It should have been revoked. Amanda Keller is a worthy inductee on her own.